Long-time readers will know I'm a sucker for good Japanese box art, but this story and gallery really helps drive home how awesome it is, and how awesome it's always been. In very general terms, Japanese box art - and yes, I know this only really important to artists, collectors and very serious fans - tends to be far less commercially aware than their Western counterparts, less interested in selling a BRAND or a THEME or PLAYING IT SAFE than in just...looking cool. 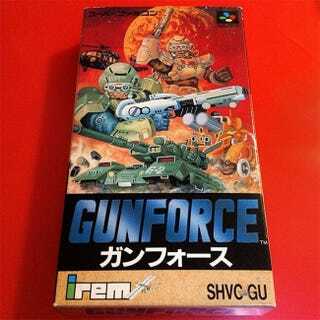 This fantastic piece by SuperFamicomGuy on Medium delves into the history of this discrepancy, going back to the days of the SNES and using a number of examples where box art that in Japan looked fantastic is absolutely butchered in the US. Never judge a SNES game by it’s box. Especially if it’s a Western release. It's a good history piece, but while you're there, his Instagram account is also a must-follow, packed with pics of amazing old Japanese games with box art that deserves to be on a thrash metal album cover.